Included amenities: Wifi, iPhone, Welcome Pack, Toiletries, Area Tips, Cleaning, Fridge Fill Service, Cafetiere, 24/7 Support. 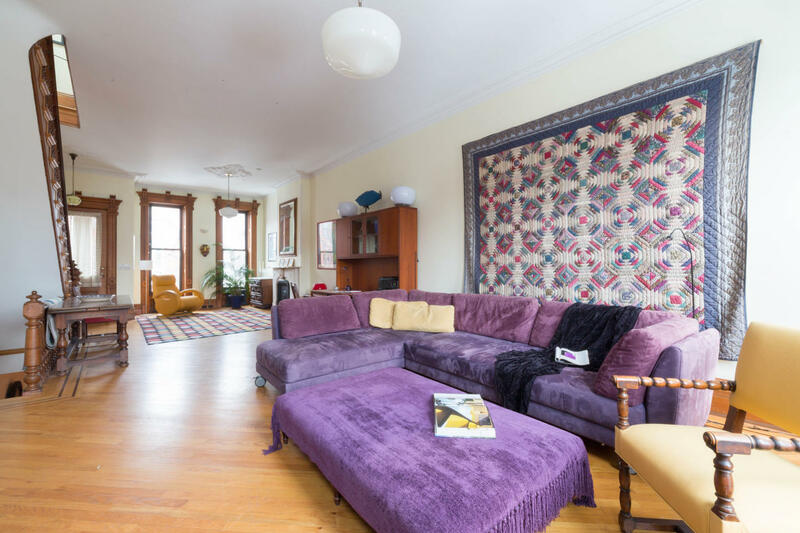 On a friendly street in Park Slope, two front entrances open into this three-storey brownstone. Having lived in Europe, your host has fitted this home with a variety of artworks acquired on their travels. Through the garden-level door, you’ll find a small sitting area and neat white kitchen with a vintage stove. A bathroom and dining area are just beyond, leading to a communal back garden. 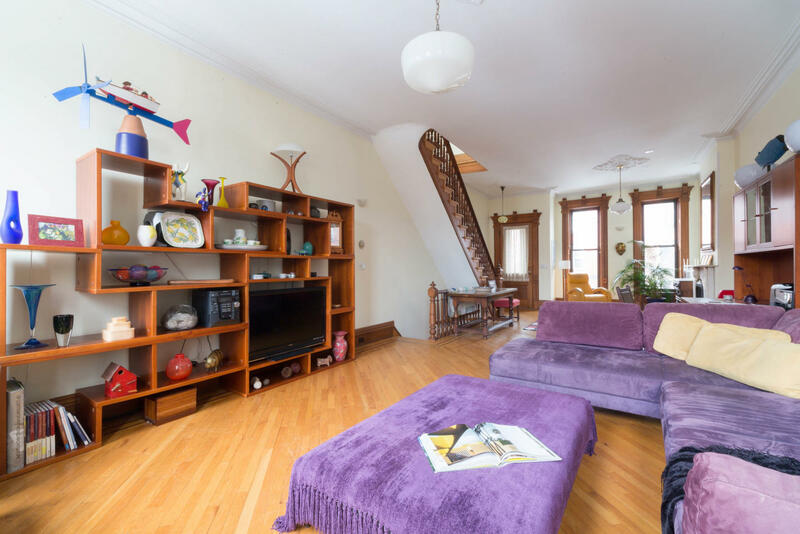 Up the stairs there’s a polka-dot rug and plum sofa (which converts to a king-sized bed), and the wall behind is hung with a patterned quilt. 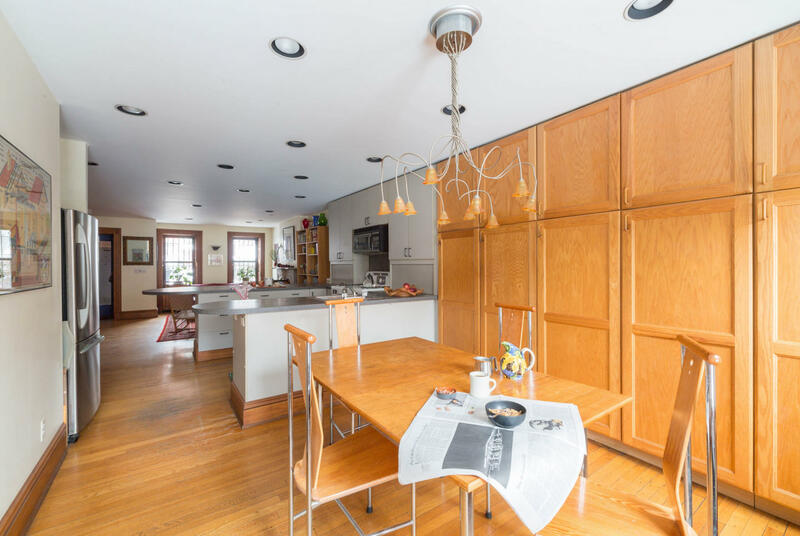 - This home spans over three floors with no elevator. Guests enter on the garden level and will find the sitting room, kitchen, dining room, bathroom, and garden. The living room is located on the second floor. The master bedroom, guest bedroom, and bathroom are located on the third floor. - This home has central air-conditioning on the third floor and individual air-conditioning units in the sitting rooms on the first and second floors. - This home comfortably sleeps four adults, with an additional king-sized sofabed in the living room bringing the maximum occupancy to six. - This home features a garden, which has not yet been photographed. - While there is no hanging space in the bedrooms, guests will be provided hanging rails for their use. - The fireplaces in this home are purely decorative. * Security deposit: USD 1500.00-After completing the reservation the security deposit amount will be blocked in your credit card.